RARELY AVAILABLE LARGEST END UNIT (SETON MODEL) IN PRESTIGIOUS BLOOMFIELD CLUB! IMPRESSIVE ENTRY, VAULTED CEILINGS AND BRAND NEW FLOORING AND PAINT ON MAIN LEVEL. FORMAL LIVING ROOM AND DINING ROOM. EAT IN KITCHEN WITH BEAUTIFUL CUSTOM GRANITE AND IRONWORK. KITCHEN OPEN TO FAMILY ROOM WITH GORGEOUS BRICK FIREPLACE. 3 BEDROOMS AND 2 1/2 BATHS. HUGE MASTER SUITE WITH VAULTED CEILING, CEILING FAN, 2 LARGE CLOSETS AND CUSTOM BUILT IN. REMODELED GUEST BATH AND POWDER ROOM. UPGRADED LIGHT FIXTURES, WINDOWS AND CUSTOM HUNTER DOUGLAS WOOD BLINDS THROUGHOUT! NEW FURNACE, EXTERIOR PAINT AND ROOF. LARGE BRICK PAVER WALLED ENGLISH PATIO WITH STUNNING VIEWS OF LANDSCAPED COMMON SPACE. QUIET CUL DE SAC LOCATION CLOSE TO POOL, FITNESS FACILITY AND MILLION DOLLAR CLUBHOUSE. LOW ASSOCIATION FEES FOR MAINTENANCE FREE LIVING! IN SUMMER, PICK FRESH PEACHES, CHERRIES, RASPBERRIES AND MINT RIGHT OUT YOUR FRONT DOOR. TRULY A LIFETIME OF VALUE TO PASS ON TO NEW OWNER! 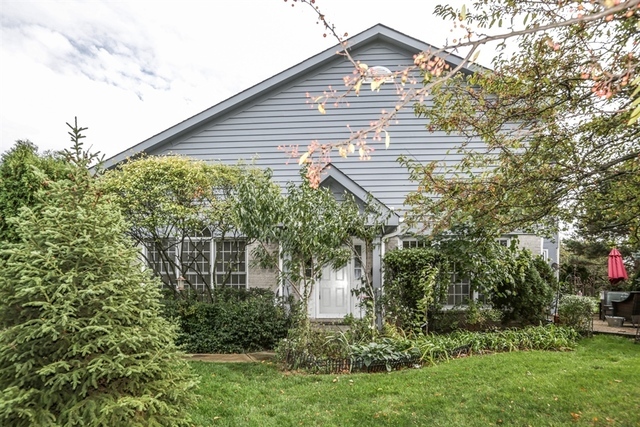 This Bloomingdale, Illinois Attached Single is located at 309 Collin Circle in Bloomfield Club and has 3 bedrooms, 2 full & 1 half bathrooms with approx 2,119 square feet and a None None Basement. It has been listed For Sale on Blue Fence for 37 days and is currently Cancelled on the Multiple Listing Service (MLS#: 10312849) with a list price of $ 299,999 or a price per sqft of $ 142. 309 Collin Circle is located within the Bloomingdale City Limits, 60108 zip code and in Du Page County Illinois. The Attached Single property was built in 1993 with a lot size of and has Garage with 2 Spaces. School age children living at 309 Collin Circle would go to Elementary School at Erickson Elementary School (District 13), Middle School at Westfield Middle School (District 13) and High School at Lake Park High School (District 108). Do you have questions about 309 Collin Circle in Bloomingdale? Learn more about this property and other Bloomingdale real estate for sale by contacting the best high selling real estate agents REALTORS® with awarding winning Blue Fence Real Estate. Simply request more information from a top rated Blue Fence REALTOR® or browse all of the most updated listings of Bloomingdale Homes For Sale. I was searching on Blue Fence and found this listing. 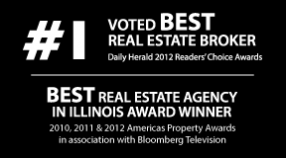 Please send me more information about 309 Collin Circle, Bloomingdale, Illinois 60108. Thank you.